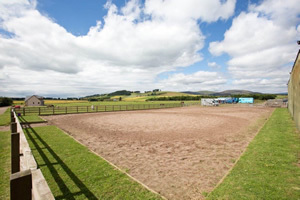 Auchlishie’s Outdoor Arena consists of a Martin Collins Fibre Sand school 60m x 45m which enjoys panoramic views of the Angus countryside and can be hired on an hourly or day basis for lessons or clinics – there is a complete set of BS showjumps also for hire with the arena. In 2019 we will be putting our cross country jumps out on the arena - watch our Facebook and Website for further details. Auchlishie's Indoor School is invaluable during the long winter months. The Indoor Riding School allows clients to continue with both horse riding lessons and keeping their horse ridden and exercised. 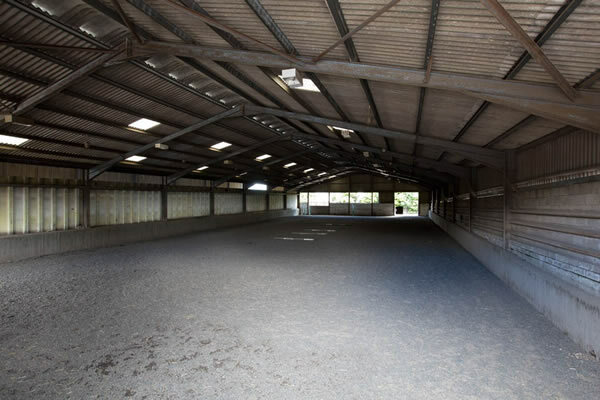 The indoor school measures 46m x 21m and has been used in the past for indoor team showjumping, dressage and pony club, riding club evening rallies. Currently our indoor school is under going refurbishment with the installation of a new surface and we apologise for any inconvenience caused during this upgrading period. The summer of 1997 a duck pond was excavated to form a spectacular 70 feet water complex which is still in existence today. 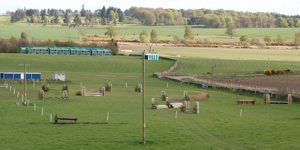 20 years on from that initial start the cross country course at Auchlishie is now well known across Scotland and the UK as a recognised British Eventing track Auchlishie has also played host to visiting riding teams from England, Wales, and Ireland. 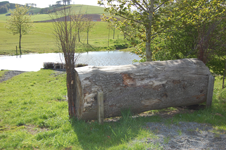 Covering approximately 50 acres of undulating permanent pasture our cross country course can now offer training from the end of March - Scottish weather permitting and then evolves into our event season with our opening BE event in May- this competition provides competitors with straight forward well built free flowing fences encouraging both horse and rider. Following our first BE event the course is open to hire until the end of May during which time we run camps and clinics and even carriage driving. 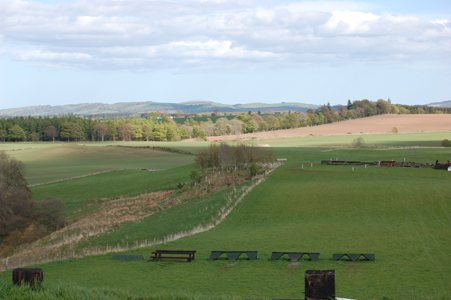 The course then closes to allow hay and haylege to be cut and then re-opens for July events - Pony Club Interbranch will make a return to Auchlishie. Auchlishie has invested heavily in the Cross Country Course not only in the building and maintaining of the jumps but also in drainage. 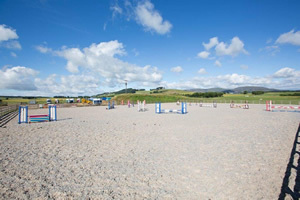 Riders who wish to hack out can use the cross country course or take advantage of Auchlishie's location and escape to the foothills of the Angus Glens via the quiet country roads. © Auchlishie Livery. All rights reserved.